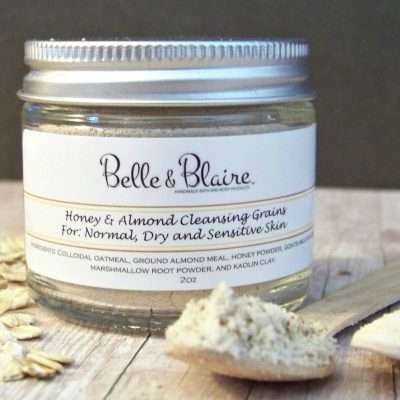 Made with 100% pure natural plant ingredients, our cleansing grains will nourish and polish your skin while leaving it with a natural glow and feeling baby soft. 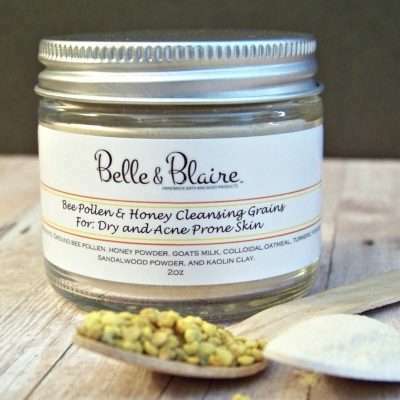 This formula is made for normal, oily, aging and acne prone skin. 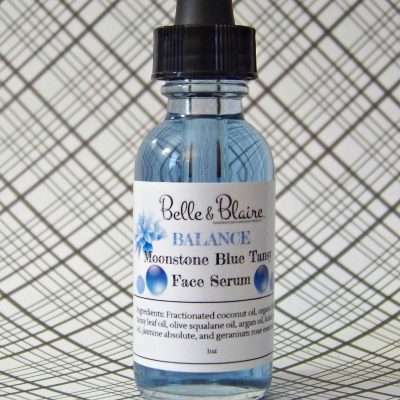 Moonstone Blue Tansy Face Serum is a daily facial oil that moisturize, heal, and revives skin’s radiance. 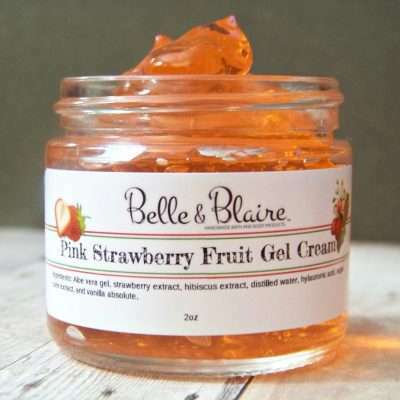 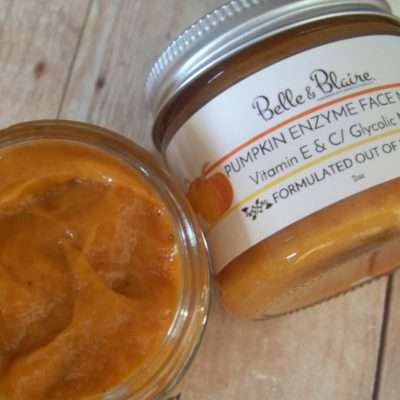 It effortlessly melts into skin leaving a non-sticky, velvety-soft finish, with a quick-absorbing formula created with natural oils to benefit the skin. 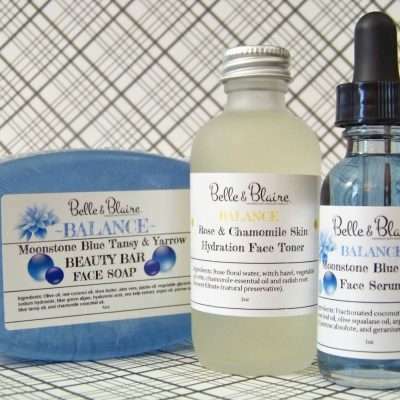 Organic Blue Tansy, also known as Moroccan Blue Chamomile, is a highly curative oil that has real tissue regenerating abilities. 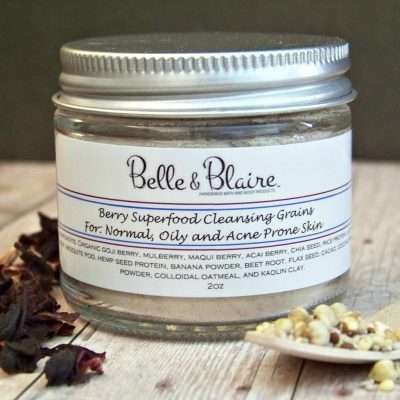 Its light, botanical aroma makes for a lovely scent; however, the real power of this deep blue oil is in its medicinal effectiveness to heal burns, blisters, acne, boils, dermatitis, eczema and rashes. 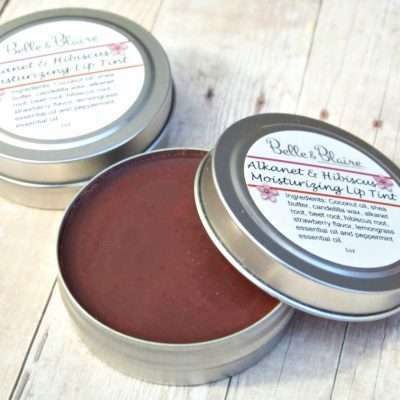 Blue Tansy Oil is known to help relieve symptoms of anxiety, insomnia, asthma, and seasonal allergies and boasts a natural aroma that promotes relaxation. 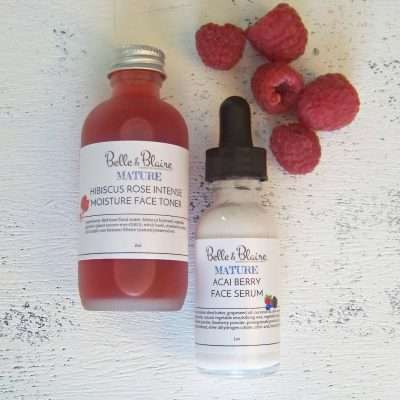 Made with 100% all natural, organic plant oils, this special mega antioxidants potion is formulated to protect the skin from free radical damage while soothing redness, calm inflamed skin, smooth wrinkles, plump skin cells, soothe irritated skin, hydrate skin, balance oily skin, even skin tone, help with aging skin, and leave your face with a soft glowing complexion and much much more! 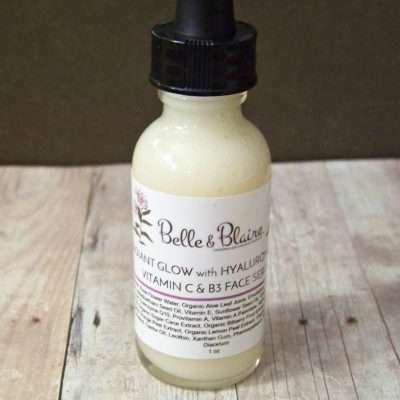 Radiant Glow Face Serum with Hyaluronic Acid and Vitamin C & B3 is a super light serum that is recommended for anti-aging and dry parched skin along with other benefits. 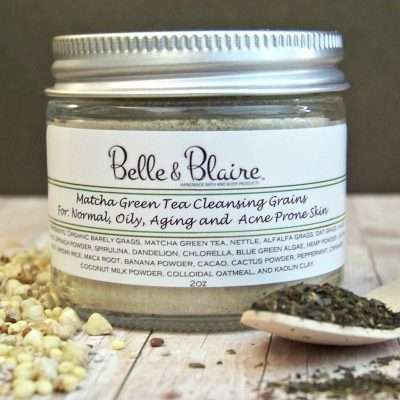 It goes on very lightly while it repairs, tones and softens the skin. 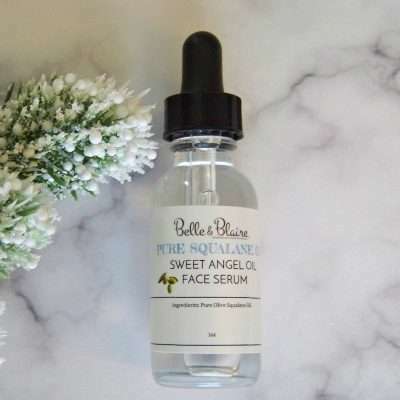 This facial serum is beneficial because it contains skin loving oils that boosts moisture as well as promote anti-aging properties with the addition of hyaluronic acid and CoQ10. 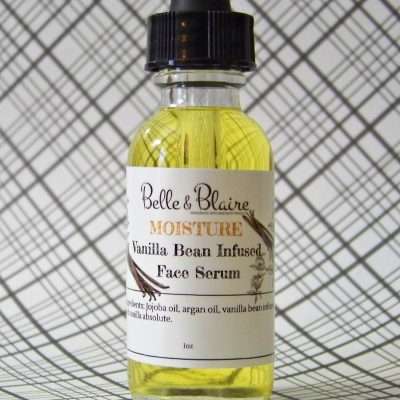 This serum is lightly scented and is recommended for users that are sensitive to strong fragrances. 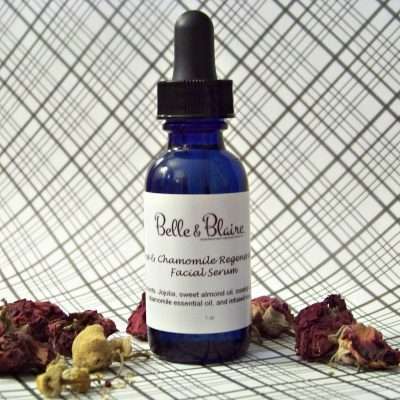 Made with 100% pure natural plant ingredients, Rose Chamomile Regenerative Facial Serum is a repair and moisturize serum with simple yet effective ingredients. 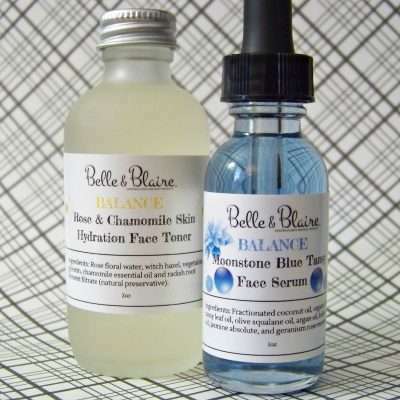 This serum contains skin loving nourishing oils and botanical essence for a rejuvenating effect on dry and aging skin. 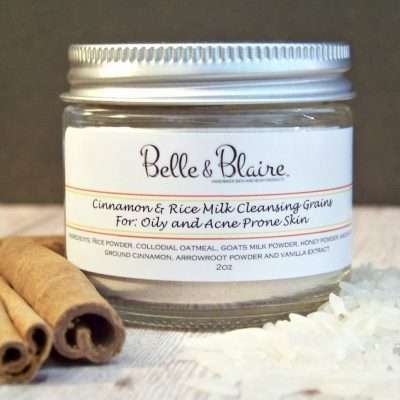 It also boasts a gentle natural scent of rose and chamomile. 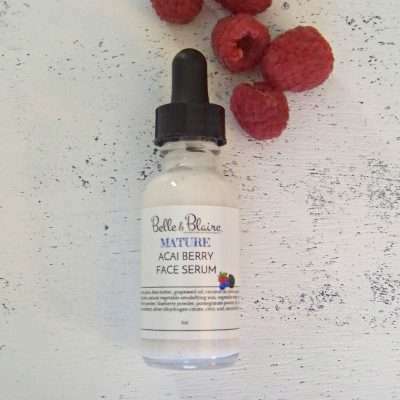 Apply a few drops in the morning and again at night before bed to reap the amazing skin nourishing benefits of this plant-based serum. 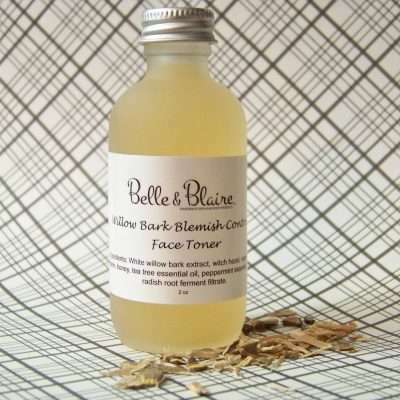 Made with 100% pure natural plant ingredients, this fine grain masa with rosehip, olive and lavender oil will gently exfoliate your skin. 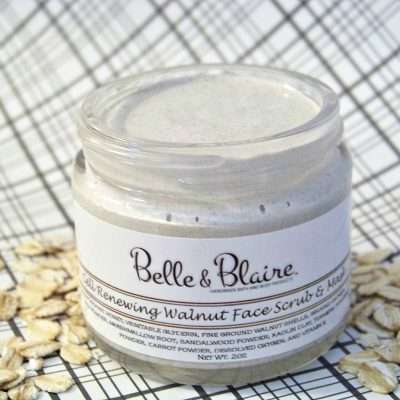 The results will leave your skin balanced, glowing and soft to the touch without a,greasy residue. 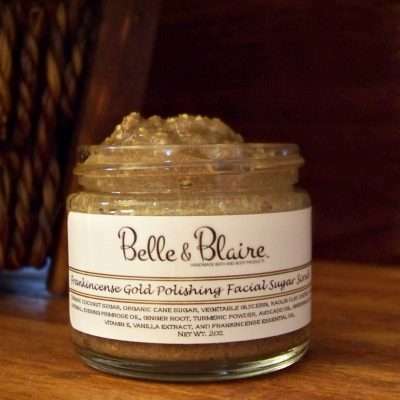 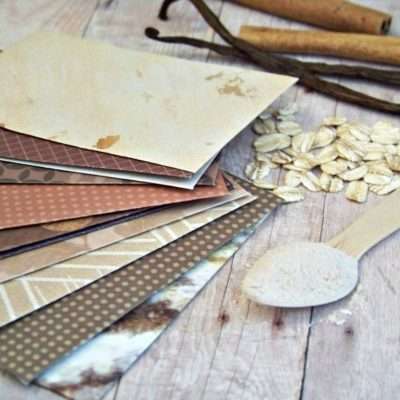 The masa polish is for all skin types to balance out the skin. 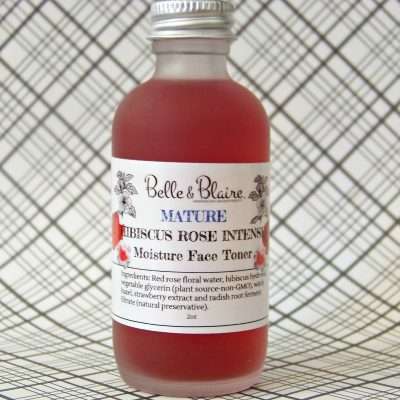 Additional moisturizing is not necessary after use. 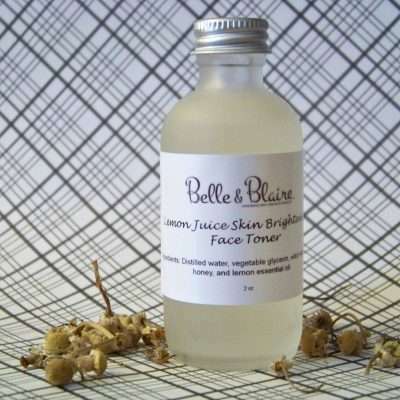 The olive oil contained in this product will absorb excessive oil and will help keep the skin balanced without over drying the skin. 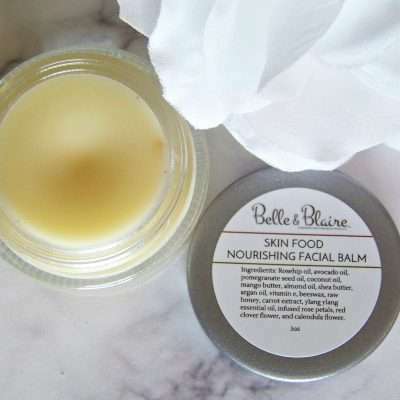 Sea Buckthorn Dark Circles Eye Balm is blended with gentle butters and oils that will nourish, protect, lighten, and condition dry under eye skin while smoothing away wrinkles. 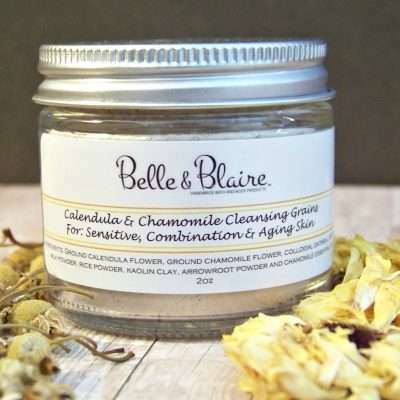 This lightly scented facial cream is made with silk peptides that promotes smooth and silky skin. 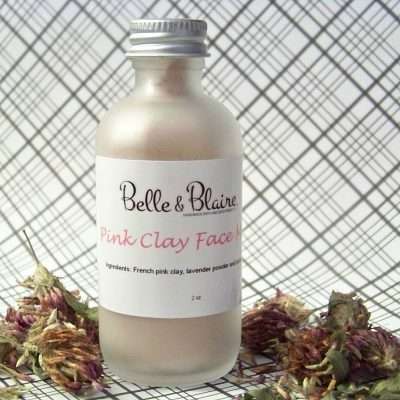 It’s a perfect cream to wear lightly under makeup as it will give your face a soft matte finish glow . 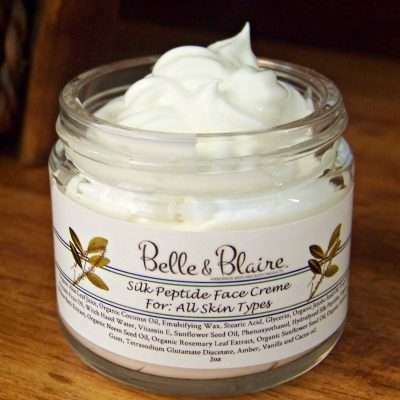 Silk Peptide cream will keep dry and combination skin hydrated without a greasy look or feel while not clogging your pores to cause further breakouts. 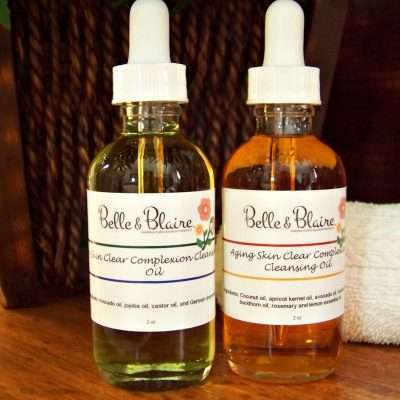 Loose sagging skin can feel naturally tighter with continued use. 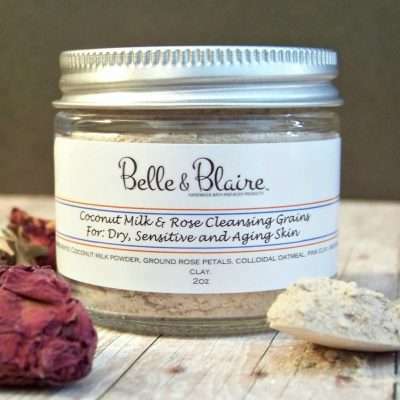 Recommended for all skin types including dry, combination, aging and acne prone skin. 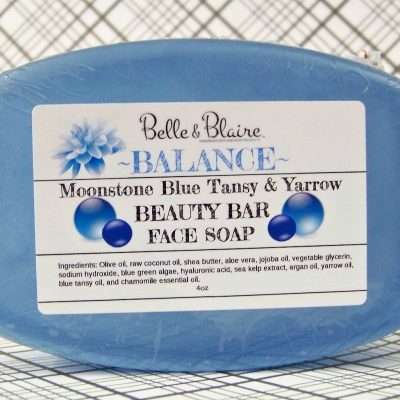 Goats Milk Turmeric soap bar is a gentle and natural soap that is very beneficial for acne-prone skin, psoriasis and uneven skin tones. 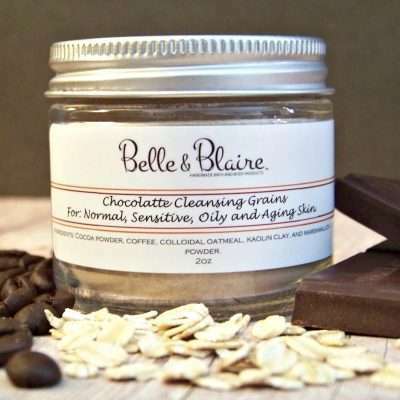 Not only is this bar of soap nourishing to your skin, it also smells delightful.